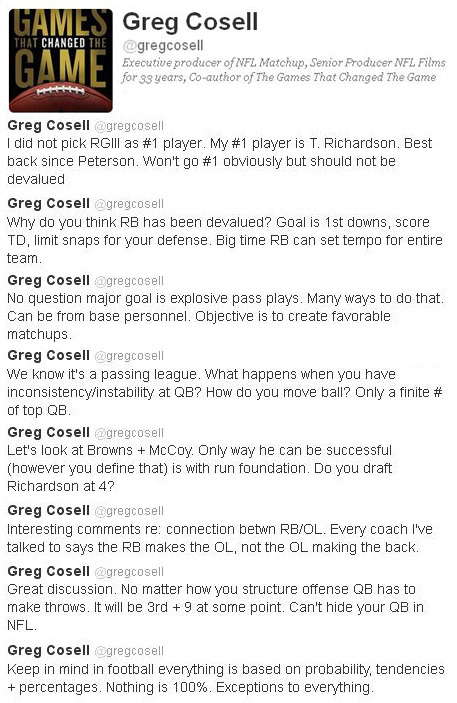 Editor’s Note: Below are a list of our favorite Tweets from Week 12. But to get the full experience, listen to John Marsh’s podcast by clicking play on the player below! Editor’s Note: Below are a list of our favorite Tweets from Week 11. But to get the full experience, listen to John Marsh’s podcast by clicking play on the player below! Editor’s Note: Below are a list of our favorite Tweets from Week 9. But to get the full experience, listen to John Marsh’s podcast by clicking play on the player below!